Robert E. Lee symbolized the best of the South for many people. He was pardoned for treason by President Johnson after the war. The battles that caused the loss of so much life in the Civil War were the results of decisions made by the military commanders of the North and the South. Who were these people? Why did they order the kinds of attacks that characterized this war? How could they follow orders that in many cases seemed like sheer suicide? Many of the opposing officers were actually friends, who had been classmates at West Point and having fought at each other's sides in the US-Mexican War of 1848. 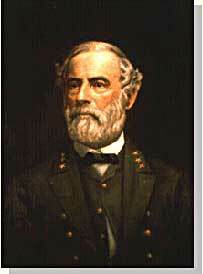 Robert E. Lee was offered the position of commander in chief of the Union Army by President Lincoln before Virginia seceded from the United States. Lee was born into one of the South's most prominent families, and was the son of a Revolutionary War hero. His wife was the granddaughter of Martha Washington. Lee did not favor either slavery or secession, but joined the Confederate army out of duty to Virginia, which he would not dishonor. Although he was the unquestioned military leader of the South, he was not given charge of the entire Confederate Army until the war's outcome had already been decided. He was a brilliant military strategist, continually outsmarting and defeating opponents with armies much larger than his own. Stonewall Jackson was killed by his own troops during battle. The Major that ordered the attack died a few years later, his family claiming because of guilt. Thomas "Stonewall" Jackson was an intensely religious man. A former teacher at Virginia Military Institute, he believed the Southern cause was sacred. He was totally fearless in battle. He would drive troops to the point of total exhaustion, seemingly insensitive to their hardship and suffering. After Jackson won five battles in one month, an aura of invincibility surrounded him. It lasted until his death, in the spring of 1863, during one of his most dramatic victories, the battle of Chancellorsville. The Union had outstanding officers, but for the first three years of the war, the Union Army had five different commanders. As Lincoln grew impatient with each one's caution or inflexibility, he'd replace him. They simply did not win the decisive battle that Lincoln needed. Ulysses S. Grant was chosen as the general who could finish the job. He had fought in the US-Mexican War and won battles at Fort Henry and Fort Donelson in Tennessee during the winter of 1862. Grant had also led the Union troops during the pivotal Vicksburg victory. For his strategy in those battles, he earned the nickname "Unconditional Surrender" Grant. After he became commander in chief of the Union Army, he doggedly pursued Lee. Grant fought Lee measure for measure and continued to advance, even as Union casualties soared and despite suffering great criticism for those losses. 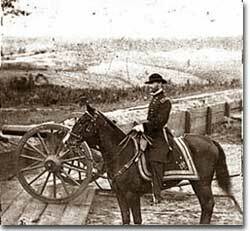 General Sherman, shown here during the Atlanta Campaign is infamous for his tactics during his March to the Sea. His men looted and destroyed civilian homes and businesses throughout the region. Grant's most trusted officer, William Tecumseh Sherman, had fought with Grant earlier in the war. 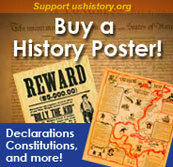 Sherman's job was to take Atlanta, an action that was a key part of Lincoln's strategy to conclude the war. Sherman was a nervous, talkative master strategist, who understood how difficult the war was going to be to win. He felt that the North would have to make life very difficult on civilians in the South in order to weaken the resolve of the Confederate Army. His ruthless and destructive drives across the South — first to Atlanta, then to the sea at Savannah, and finally through South Carolina, are his legacy. This collection of Private Newton Scott's letters covers his three years with the Iowa Infantry, in which he served as a clerk. Take a look at this take on the Civil War from a homesick 21-year-old soldier. More than just an account of battle movements, Scott's letters describe the life of an everyday soldier, from his frustrations with politics to homesickness, and hope for an end to the war. Confederate General Longstreet is best remembered for recommending defensive tactics at Gettysburg — advice General Lee did not heed. Once a hero, within 10 years of the war's end Longstreet was vilified in the South. This comprehensive website explores the controversy and provides links to events in his life, pictures, and additional resources. This brief biography of "the most hated and despised man in the history of Georgia" includes information on his battles as well as photographs of the man himself. The supreme commander of the Union armies in the West, Sherman led a campaign in Georgia that was the first in which civilians were treated as the enemy. Sherman's march on Atlanta was legendary for its destruction of the historic city. This North Georgia website has links to people and places surrounding the life of William Tecumseh Sherman. Frederick Douglass's sons were among the recruits of the 54th Massachusetts, one of the first African American infantry units in the United States Army. Founder and commander, of the 54th, Colonel Robert Gould Shaw, was under much pressure to prove the worth of his African American soldiers. Their most famous effort was the bloody attack on Battery Wagner, in which Shaw was killed and the troops of the 54th showed remarkable courage and patriotism despite suffering heavy casualties. See photographs of the famous 54th, and read the real story behind the regiment whose legend was documented in the 1989 film Glory. Belle Boyd was an 18-year-old Southern belle — and one of the Confederacy's greatest spies!